I didn’t think the keynote was that brilliant this year. 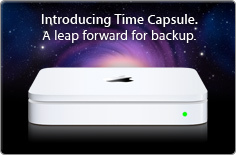 Sure, the MacBook Air is nice, the Time Capsule is pretty cool (especially with 1 TB for 500 $) but the rest was not that groundbreaking. It’s the first keynote I’ve watched, so I can’t really compare. It kept my attention for an hour and a half… well other than that guy on the piano waffling on at the end. 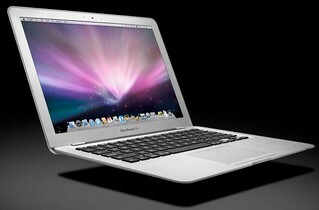 I suppose £130 for a battery isn’t too bad… it being Apple and all. I mean it’s like £50 to £80 to get a battery replaced on a Dell laptop. Yeah AppleTV is a bit bleh. I wouldn’t pay that much for something that just does TV and music. Both the Xbox 360 and PS3 do that kind of thing (with less restrictions) and they play games! Hehehe. Well Kate’s laptop is Vista and so is my work laptop… my old XP tower is slowly gathering dust. Let it gather dust until it breaks, did that with my tower too and now I’m finally rid of that crap. If Windows is running it’s either in Parallels or Bootcamp but I haven’t booted into it for weeks now. I use it as my footrest under me desk, so it does still have some use. I don’t know about IRC clients because I use the one build into Opera but for blogging software you might want to have a look at ecto. I just installed it and it looks quite cool so far. I have to say that I haven’t played around much with it yet, though. Welcome to Leopard :D What do you think of it so far? Ecto looks interesting, I’ll have to give it a go. I did try MarsEdit but it lacked a couple of features in BlogJet that I really like (like the ability to insert images and it can resize them down and / or make thumbnails and automatically sort out the uploading of it. The other is inserting YouTube links and it just sorts out the HTML for it). Ok Bert. :) Also, it looks like you weren’t the only one disappointed by the keynote.